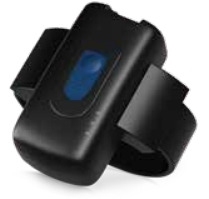 SP1603 ankle worn offender monitoring bracelet designed with latest technology to monitor all kind of offenders where administrations seek accurate and reliable real-time tracking along with effective enforcement of home detention curfews. The device is equipped with dual SIM to keep connected with the call centre. The dual SIM offers flexible option to fulfill different use case. reporting modes make it visible all the time to monitoring center. The SP1603 can paired with home iBeacon to extend the battery life and apply home detention if needed.